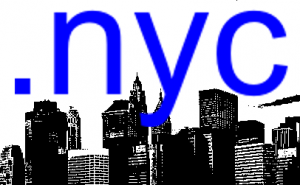 ISOC-NY Event: dot nyc – How are we doing? Council Member Gale A. Brewer has been representing the Upper West Side and Upper Clinton in the New York City Council since 2002. Gale chaired the Committee on Technology in Government from 2002-2009, in which she continues to sit. She currently chairs the Committee on Governmental Operations. Eric is Chief Technical Officer for CORE, an international not-for-profit membership association of Internet domain name registrars. As such he is responsible for the technical correctness of CORE’s new TLD applications. Previous TLD applications he has contributed technical content to, on behalf of several clients, are .CAT, .ORG, .BIZ,.US, .COOP, and .MUSEUM. Eric was one of the principle contributors to the IETF’s PROVREG Working Group which wrote the EPP RFC series. Eric leads a gTLD project for Native American and Indigenous Peoples, and is an active member in the extended California and Oklahoma Cherokee, and Maine Abenaki communities. Antony is CEO of Minds + Machines, a registry services and consulting company for new TLDs. Antony has been working with domain names since he founded Netnames USA in 1997. He started three domain name companies (NetNames USA, RegisterFREE, and NameEngine) and later sold them, the last one to VeriSign. He also started up several ccTLDs, including .TM, .BT, .AS and others. Tom’s involvement with Internet governance began with comments he filed on the NTIA’s 1998 Internet governance NPRM. He is a former long time member of Community Board 15 in Queens, where the idea of the establishment of a .nyc TLD as a public resouce was first mooted in 2001. In April 2007, invigorated by similar efforts in other international cities, he formed ‘Connecting .nyc‘, a non-profit that has been working since then to assure that the delegation and operation of any such domain be in the the public interest of the NYC community. I hope we have the opportunity to get into governance, as that’s the essence of the TLDs success of failure. Perhaps Council Member Brewer will provide some insight as to the city’s view of the channels for public engagement in the .nyc TLD’s development, about transparency of operation, and accountability. As well, it would be good for the vendor(s) to speak on the topic. For my part, I will talk about our proposed governance structure for the dotNeighborhood names.